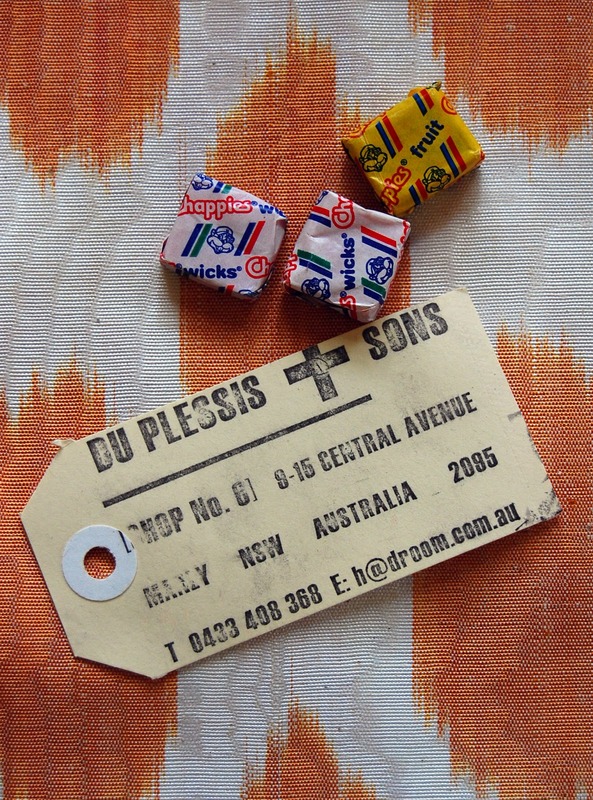 If you ever find yourself in Sydney's beachside suburb of Manly, you must pop by Du Plessis + Sons "Miscellaneous Goods Emporium". Opened last October and owned/run by Henke, a fellow ex-South African (and Architect), Du Plessis + Sons is filled with a bang-on edit of goodies sourced right around the world. Mr Tonic, the Mini Tonics and I were walking past last weekend and literally ran accross the road like moths to a yummy homewares-y flame upon catching a glimpse of their front window (below). You know when you just know? Unfortunately, they don't have a website (yet! 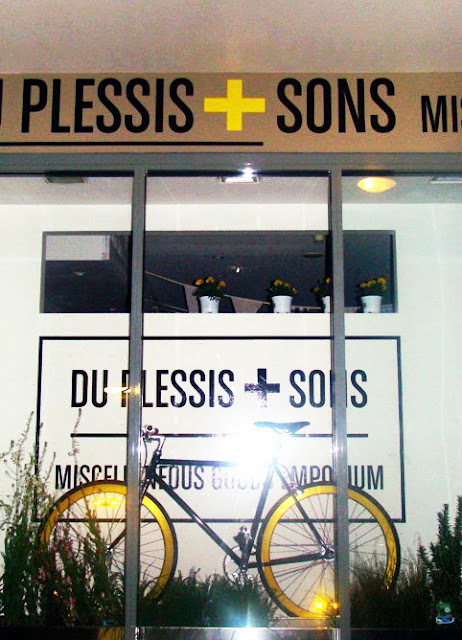 ), but visit them at their Du Plessis + Sons Facebook page, or say hi at 9-15 Central Avenue, Manly (closed Sundays). (above) Photographed on the "Burnt Orange" Spot Ikat cushion from Table Tonic. Upon hearing my squeals of delight at the selection of South African food products, Henke thrust handfuls of Chappies bubble gum and Wilson's caramels at us! PS You can read more about Du Plessis + Sons by clicking the following 2 links - Sunday Collector and Fabrik Store blog. Filing it under "One to watch"! Well blimey, I live in Manners and I ain't seen that shop! I'll definitely go and have a look. I've lived there for too many years and just as I get set to leave for more central climes, it starts getting all funky! Thanks for the heads up. I LOVE this store! I've been going in there daily... it's getting embarrassing. Go Manly!! Break free from the surf shops!! You can do it!! And while I'm on my Manly rant, (if you haven't already) drop-in to Neck of the Woods, Mr & Mrs Smith and Murdok. All corkers. You, no regrets.